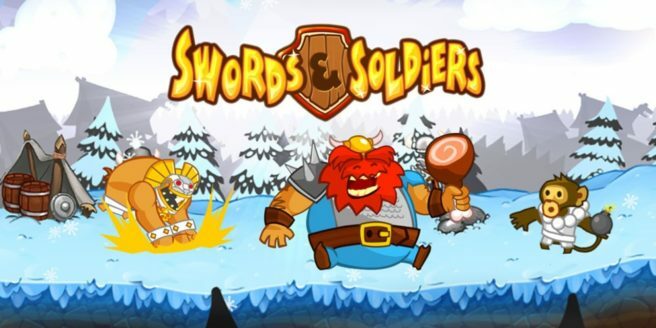 The original Swords & Soldiers is in the works for Switch, a listing on the European eShop reveals. A release is planned for January 25 with Two Tribes handling publishing. Pick from 4 totally different factions: the brutal Vikings, devious Aztecs, crafty Chinese, as well as Chief Meat’s army. Each faction has its own reason to go to battle and its own campaign to play, adding up to many ours of side-splitting action-strategy. In this improved Nintendo Switch edition of Swords & Soldiers you can even go head-to-head with a friend on a single touch screen! Swords & Soldiers II: Shawarmageddon is also coming to Switch. Last we heard, it was targeted for last December. That didn’t happen in the end, but the game should also be ready for its Switch debut soon.